Welcome to J.C. 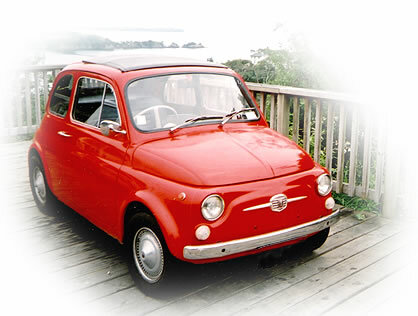 Automotive, the New Zealand home of the Fiat 500. With over 38 years of experience keeping the Fiat Bambina alive we can offer a wide range of parts and services to satisfy the specialist demands of Fiat 500 owners across New Zealand. As well as the Bambina, we can also help you with parts for your 126, Nikki, Uno, Tipo and Panda. "I am commited to giving you the best service possible so please do not hesitate to contact me with any enquiries for parts or advice."